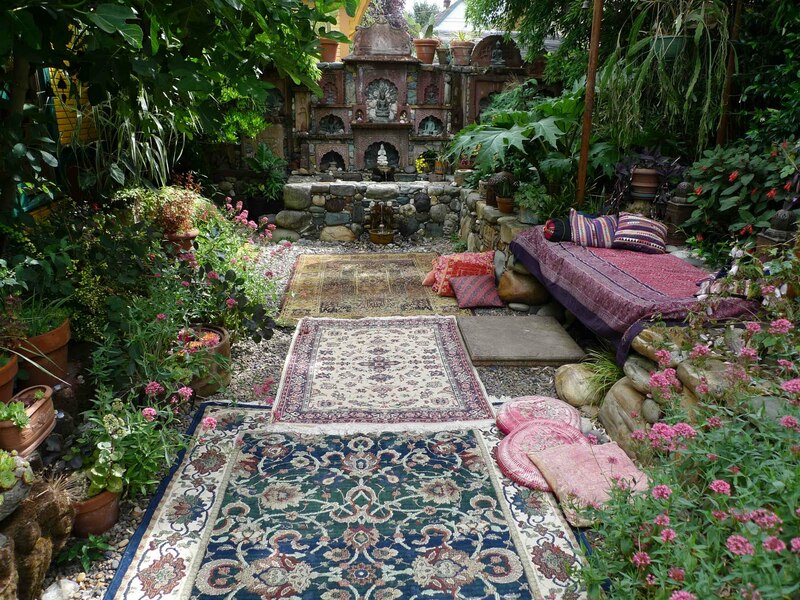 This blog is a view in to my World as a builder of fine gardens and mosaics, and the beautiful places and things that inspire me as I travel the globe. Mars, the Red Planet is the 4th furthest from the sun. It looks red, even to the naked eye in the night sky. In 2014 it was closest to the Earth and at its brightest on April 14, as I was writing this, in line with a full moon that would eclipse the next day. I went outside and set up a tripod and took this photo from my back patio. I was amazed that the planet, when zoomed in on showed up like a red bead in the sky with a dimple in the center. It seems to be an auspicious time to resume work on the Labyrinth for the final phase leading to its completion. 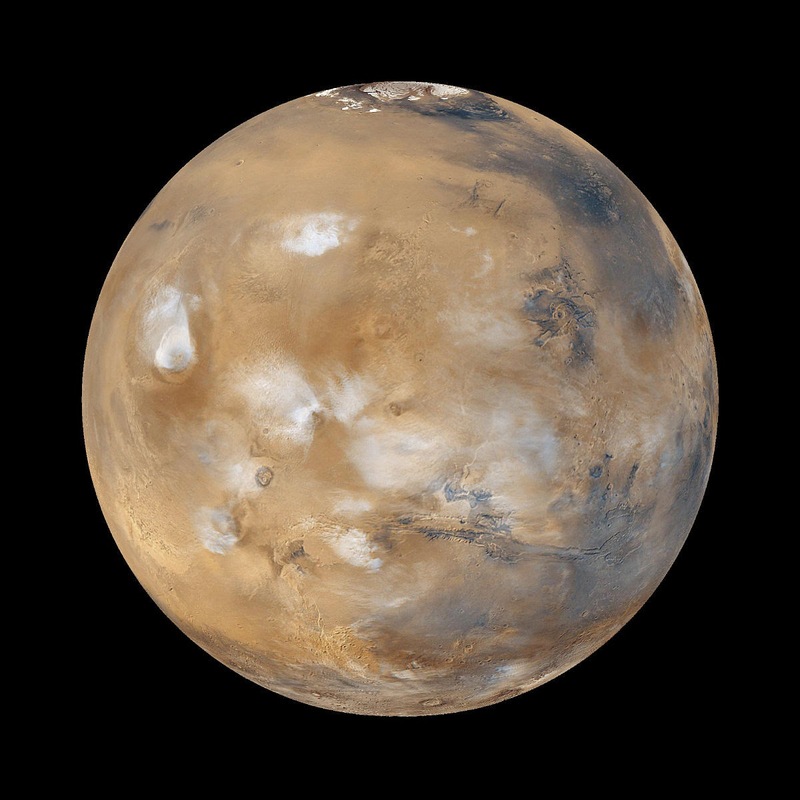 Mars is the second smallest of the planets in our solar system after Mercury, and gets its red color from a coating of iron oxide on the surface. Even though it is about half the diameter of Earth, its Olympus Mons is the tallest mountain on a planet in our solar system. Mars has a thin atmosphere and ice caps on its poles like Earth. The ice caps contain enough water that if they were to melt the surface of Mars could be covered with 11 meters of water. The rotational tilt of its axis causes the planet to experience seasonal changes and might even melt ice to create flowing water during the warmest times of the year. Mars is orbited by two moons that are named after the Roman God Mars sons Phobos and Deimos. In mythology Mars was the God of War, and was the principal deity worshipped by Roman soldiers. He was the offspring of Jupiter and Juno (Zeus and Hera in Greek mythology). Mars has a long history that dates back to Neolithic times when he was the God of Spring, growth in Nature, and the protector of cattle. This would have made him an important deity for herders, who lived close to nature, moving their flocks seasonally to greener pastures. He was also associated with Woodpeckers and Wolves. A pair of Pileated Woodpeckers rules the woods at Halls Hill Park and made themselves known by pecking the trees around the Labyrinth while I worked on the Mars circuit. Wolves are the ancestors to all dogs. There aren't any wild wolves on Bainbridge Island but there are plenty of dogs. The wild and untamed world was the characteristic realm of Ares, the Greek predecessor of Mars. Acts of brutality came from his intense energy and rage. He was associated with the violent, chaotic aspect of war, as opposed to the orderly military strategies overseen by his sister, the Goddess Athena. He represented danger, being insatiable and destructive in battle. Because his influence was untamed and violent, Ares was treated by the Greeks with scorn in spite of his valor. His most famous love affair was with Aphrodite, the Goddess of Love. Opposites cannot help but attract in the divine realm, but their children can be a handful. Ares traveled in his war chariot with their offspring Phobos (Fear), and Deimos (Terror), and his sister Enyo (Discord). Aphrodite by Ares also gave birth to the God of Love, Eros, who's arrows inflicted insatiable desire in those they pierced. Greek Eros became the Roman Cupid, the chubby winged boy favored even by the Catholic church. Unions like love and war can explain emotions like lust and jealousy. Mars was held in much higher regard by the Romans and was elevated to a very high position, second only to the God Jupiter. 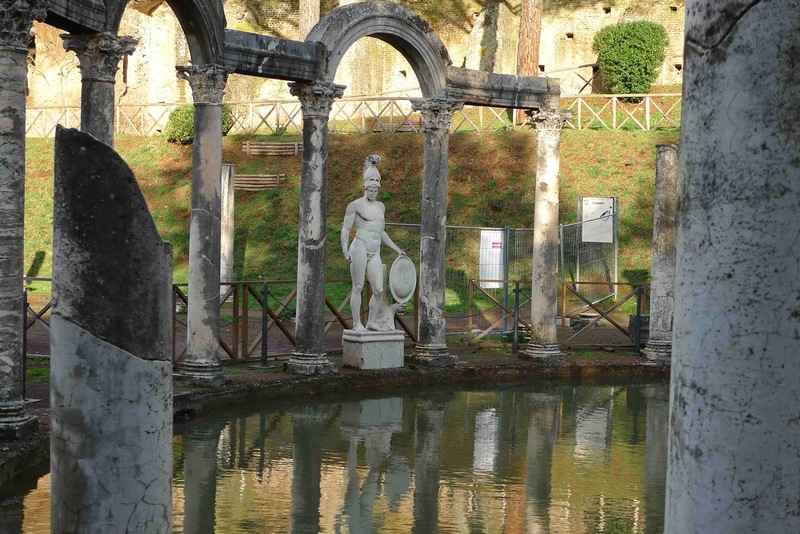 He was the patron deity of the Roman army and was also a God of agriculture. Rather than being psychopathic, his violence was justified as conflict with the goal of peaceful resolution. I built most of the Mars circuit between the end of March and April 3rd. I started with the loop in the East connecting to the Jupiter circuit, and worked in a clock or sun wise direction which I have been following through the entire project. The colors here in the first section I built are the greens of Spring. The symbol I chose to make for people who rang the prayer wheel is a spear with 3 prongs. A trident is like a pitchfork and is usually associated with the God Neptune. In the Hindu religion, Mars would have been comparable to the God of war, victory, wisdom and love, Lord Murugan, Son of Lord Shiva, who presented him with a Vel, or Trident. 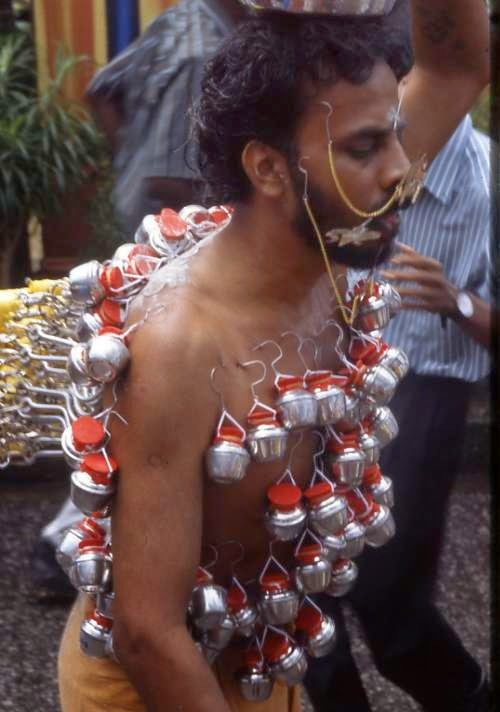 There is a dramatic festival honoring the occasion called Thaipusam that is celebrated by Tamil Hindus in Malaysia, where piercings are made through the cheeks and tongue with rods capped with a trident. The first of these spears I made was for a couple undergoing a separation, in a sense, conflict with the hope of a peaceful resolution. This red trident reminded me of the lilies painted on the beautiful murals at the Minoan palace at Knossos, Crete, where the Labyrinth of the Minotaur was located. If all spears were lilies how different the world would be. Then working to the west, I made more simple little tridents for people who came to turn the Prayer Wheel. Many of the symbols I make blend in to the surrounding mosaic and are difficult to locate unless you know what you are looking for. A Trident of Vel in the brown western direction of the Labyrinth. Two women visited the Labyrinth on a quiet afternoon as I was working my way through the area with black stones. I told them about some of the meaning I've incorporated in to the project and that I had recently returned from Greece with stones from sacred places. One of the women said that her favorite Greek myth was that of the Goddess Persephone. I showed them where the mosaic of the River Styx flows in to the underworld in the Pluto circuit and that it was a place where Persephone would return from Hades in the Spring to see her Mother Demeter, signaling the end of winter. I told them that this was a place where symbolically people could meet with those who have passed away when the Earth wakens from its slumber. One of the women began to cry and the other woman told me that her stepfather Howard had died the day before at the age of 93. So I made a black pitchfork for Howard. They said it was very appropriate for him as he had been a farmer. I hope Howard doesn't mind that his Trident is a funky little thing, but the moment was very sweet. I worked my way from black to white to blue green and ended the Mars circuit where it will bend in to the Earth circuit. And so I have nearly completed 8 of the 11 circuits, and the center area yet to be built grows that much smaller. This is a huge and daunting project, one where a lot of hard work brings me great pleasure. The war is in my sore shoulders, but the peace is in having done the work. Three circuits and the center to go! hi jeffrey, what a thoughtful and interesting post.. praise to you for working in this manner, taking the time, respect and love to manifest something as venerable as a labyrinth into its full beauty and potency. happy earth day! I am a builder of gardens by trade. Growing up in Eugene, Oregon, I have had a lifelong connection to Nature in the Pacific Northwest. After graduating with a degree in Landscape Architecture from the University of Oregon, I began to travel. I’ve made it a habit to travel as much as I can ever since. 3 to 5 month forays have defined every winter for the past 33 years. First Mexico, then Thailand, which led to 12 successive journeys through much of S.E. Asia, Sri Lanka, the Nepali Himalaya, and 6 trips to India. Then on to South America over 11 winters, and now the Mediterranean. I spent two winters in Morocco and Southern Spain and 3 in Italy, and the last in Greece. I recently returned to Mexico for 3 months. When I am home I build gardens for a living, and have become known for my pebble mosaic work. My work is heavily influenced by my travels. Everywhere I go I document beautiful things, with an eye for how they were made and why. There is a story behind every design. What inspires me the most is when art works in harmony with nature.